The Congress has approached Mayawati's Bahujan Samaj Party this afternoon as results indicated that Madhya Pradesh might be heading for the split verdict which several exit polls have predicted. Mayawati is believed to have called her leaders for a meeting in Delhi after senior Congress leader Kamal Nath contacted her, sources said. To reporters, Mr Nath expressed confidence that his party would win "lock, stock and barrel" in the state. But through the day, the leads yo-yoed between the Congress and the BJP, and the state's three-time Chief Minister Shivraj Singh Chouhan predicted that he would win a fourth term. In Rajasthan too, the Congress blinked as the gap with the BJP slowly shrunk. State Congress in-charge Sachin Pilot, said, "Even though we are certain we will have the numbers by ourselves, I would like to reach out to other like-minded parties and leaders to form the government ". Seat sharing talks for the three states between the Congress and the BSP fell through when the Rajasthan Congress objected, arguing that they could win the election on their own and the BSP could just get in the way. Later, Kamal Nath indicated that in Madhya Pradesh, the Bahujan Samaj Party had asked for seats that they had very little chance of winning. The leaders in Madhya Pradesh and Chhattisgarh - states with a chunk of Scheduled Caste voters - had been open to negotiations with Mayawati. In Chhattisgarh, senior Congress leader TS Singh Deo earlier said he was open to an alliance with Mayawati or any like-minded leader to beat the BJP. 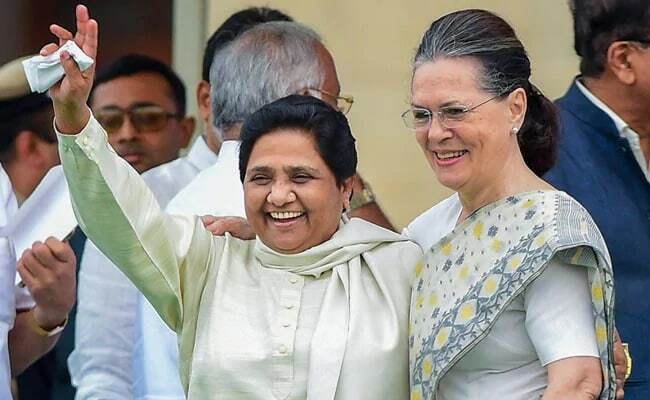 The BSP is currently leading in four seats in Madhya Prradesh, five in Rajasthan, and eight in Chhattisgarh, where she has an alliance with Ajit Jogi, the state's first Chief Minister, who quit Congress and floated his own party in June 2016. Yesterday, Mayawati -- one of the key leaders from Uttar Pradesh -- had skipped the huge 21-party opposition meeting called to form a united front against the BJP in next year's general elections. Her ally in the state Akhilesh Yadav, also miffed with the Congress over seat sharing, stayed out as well. Uttar Pradesh sends 80 lawmakers to parliament - the highest figure among all states. A good performance there is crucial to win the national election.